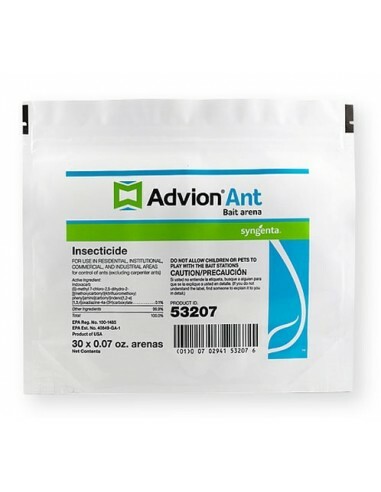 Advion Ant Bait Arena provides complete control of the entire colony with the active ingredient indoxacarb. It acts through ingestion by ants slowly so that the foraging ants have time to contaminate other colony memebers including the larvae and queen! Advion Ant Bait Arena should be placed in areas where ants are currently foraging or foraging activity is suspected. The ant bait arenas should be placed adjacent to active foraging trails when possible. Care should be exercised in order to reduce the disturbance to the natural foraging pattern. If placed along foraging trails properly, ants should detect and begin feeding at the bait station within approximately 30 minutes. An increase in foraging activity around the station indicates good recruitment. * 1 bag contains 30 stations! Use sites include but are not limited to single and multi-family residential buildings, institutional, commercial and industrial facilities (including schools, hospitals, warehouses, apartments, supermarkets, restaurants, motels, hotels, food handling/storage establishments, food manufacturing and processing facilities/plants), and transportation equipment such as aircraft, trains, ships, boats, and buses. 1. Thoroughly inspect infested area to determine proper placement of Advion Ant Bait Arena. 2. Placement of 1-4 ant bait arenas where ants are observed is adequate to control normal ant infestation. Heavy infestations or infestations that are difficult to access or heavier infestations in larger areas may require application of additional arenas. 3. Advion Ant Bait Arena may be placed on vertical surfaces by using an adhesive on the bottom of the station. 4. In addition to being placed directly along foraging trails, place Advion Ant Bait Arena along walls, under appliances or industrial equipment, inside garbage containers, inside cabinets, under furniture, or any locations where there is ant activity or ants can potentially gain entry into a building or structure. 5. Do not place arenas on food preparation surfaces. 6. Inspect the arenas periodically and replace as needed or every 2-3 months. 1. Thoroughly inspect infested area to determine proper Advion Ant Bait Arena placement.Pay close attention to areas where ants may gain access to a building or structure. 2. 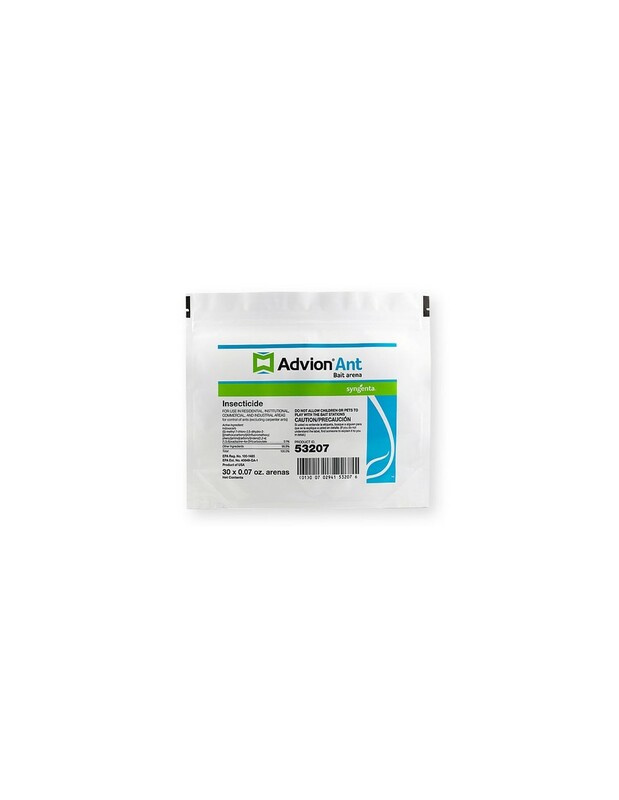 Apply Advion Ant Bait Arenaon or near building/structure exterior areas where ants are actively foraging such as near tree bases, along exterior walls, around garbage-collection areas, utility accesses, windows, vents, or along the ground next to structures. 4. Placement of 1-4 ant bait arenas where ants are observed is adequate to control normal ant infestations. Heavy infestations or infestations that are difficult to access or heavier infestations in larger areas may require application of additional arenas. 5. Inspect the arenas periodically and replace as needed or every 2-3 months.